Read the inspiring story behind The Kitchen Guy. In life, there are only a certain few special people who make a long and lasting impact that forever shapes our lives. For me there would be two to be exact. The first would be my father and the second would be my father’s younger brother and lifelong best friend, my uncle Norm. Both have left their impressions & values on a boy, a teenager, a young man and finally the man I am today. They have been my heroes like Batman and Robin fighting crime, protecting and helping the weak and vulnerable in their own unique and hysterical Bob & Doug McKenzie kind of way. On August 22, 2016, I lost one of my heroes. My uncle Norm. With his infectious laugh along with his bright smile and mischievous eyes, he was someone you wanted to know and to be with. There was something special about him. I’m not the only one who has been impacted by his presence. He was a force to be reckoned with and a titan and a trailblazer in the Kitchen Industry up north in Sudbury Ontario, where I grew up. He was a man of vision and fortitude and he is someone I admired and respected very much. I won’t go into much detail about his many business successes but there were many. First there was Custom Countertops, then La Cuisine Kitchen Cabinets Inc., then Water Works, and finally Marona Kitchen Manufacturing Inc. (named after his children Martin, Roxane and Natalie). He was passionate, creative, intelligent and sharp! He knew what it took and what sacrifices were required to succeed. But his greatest success of all was his family. He loved his family with every fibre of his being. He helped so many of us. He gave us opportunities to learn, to grow and even to become independent in our own ways and to create our own enterprises. He himself knew most how that felt, to be an entrepreneur, and THAT he was! He was my mentor and everything I know and all the tools I have today are a direct result of his trust, his generosity, his guidance and his belief in me. I only wish I had had more time to learn from him. He is the original Kitchen Guy! This is not just a slogan, it’s a statement of history, of breadth, of sacrifice, of sweat and tears that reflects his life and what he meant to me and to those around him in business, with family and as an individual. 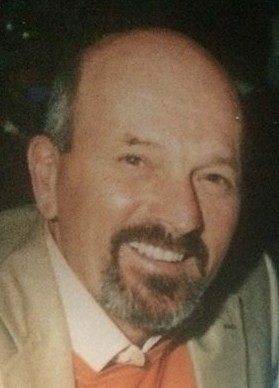 R.I.P mon oncle Norm – love you forever!